Immigration affects almost every part of our lives in Southern California and across the country. From first generation DACA recipients struggling to figure out the future to third generation Armenian students trying to negotiate different parts of their identity, immigration is key to our past, present and future. How does immigration impact you? 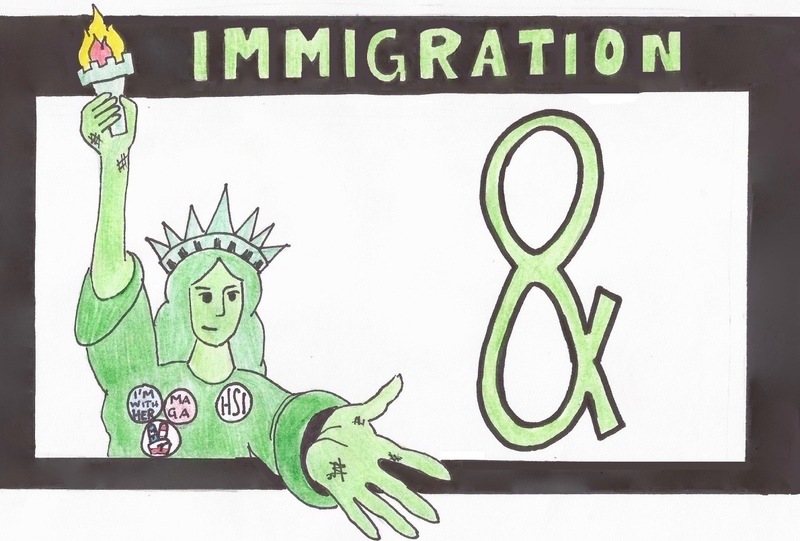 This fall, High School Insider presents “Immigration &”, a multimedia initiative providing students opportunities to share first person perspectives and report on stories in their communities. The goal of Immigration & is not just to work with students directly affected by immigration today (DACA or undocumented students), but paint a broader picture of a generation supported, influenced, and building on the accomplishments of immigrants who came before. Focus on one key issue that holds significance and explain its relevance. You may write from a first person point of view or profile somebody else. Keep your draft or outline short—200-300 words. Once you submit, a student leader will contact you over email or text message with feedback. Once your piece is complete, a student leader will help post your message on HS Insider and send you a link once published. Thank you for your participation in Immigration &. Submissions are now closed. Still want to write a story? Email Project Lead Molly Heber at molly.heber@latimes.com.